Maintaining our lifestyle after retirement is an important goal for most of us. The steps we take now will shape our financial health in later years. As a nation we are living longer so the need for a realistic retirement plan is critical. Also, the State Transition Pension was abolished in January 2014, thereby increasing the pension age to 66. The state pension age is due to increase further to age 67 in 2021 and 68 in 2028. With the country’s finances under severe pressure, the current levels of old age pensions are at best, very unlikely to increase over the next few years. In fact at the recent Irish Association of Pension Funds Benefits Conference 2015 it was stated that the current State pension is not sustainable. Bridging that gap between a possible retirement age of 60/65 and state pension of 67/68 is essential. Having to work beyond our ideal retirement age is simply not a pleasant prospect. Retirement should allow us the time and opportunity to do all those things we haven’t been able to heretofore; enjoy that pass time/hobby, travel the world! The only way such retirement dreams will be attainable in through financial life planning. The aim of your pension is to help you ensure that your retirement years are spent doing the things you always wanted to, not regretting the opportunities you missed. You can take a portion of your pension fund out tax-free at retirement. But just availing of the tax benefits is not enough. We help you to understand your retirement objectives, identify the right pension structure for you based on your specific circumstances and ultimately help you to choose the right product and investment strategy for you. Pension planning is a complex area, it’s our role to understand fully the pension regulations and identify the right retirement solution for you. Funding your lifestyle in retirement is a long term project. You need to start as early as possible to avail of all the tax breaks and to give yourself the greatest chance of meeting your retirement objectives. 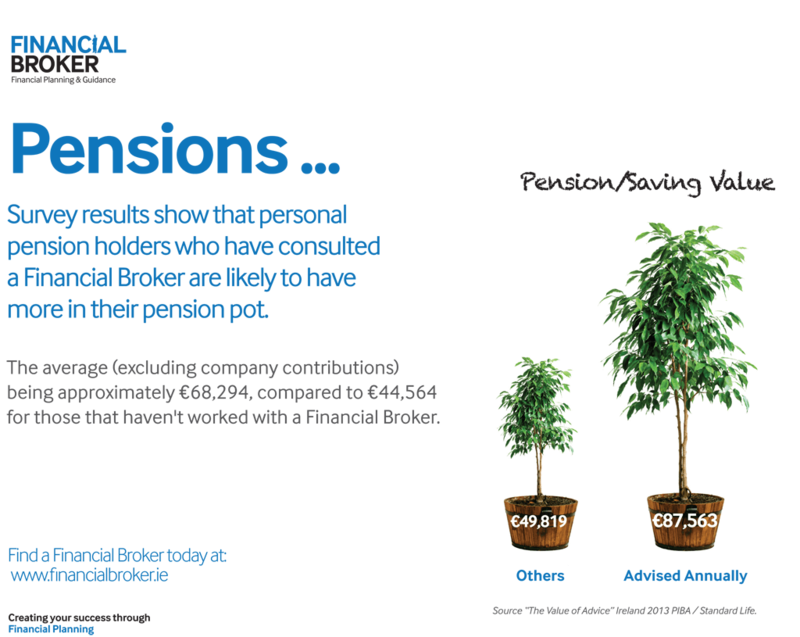 If you have a current pension you need to ensure your retirement objectives are on track. We can review your current provisions for you. We assess your current charging structure to ensure it is competitive and we make sure your investment funds suit your risk profile and end objectives.